Ohio Kiwanis is celebrating 100 years in 2018! Kiwanis is an international service organization which offers volunteer opportunities to all ages. Our own Lakewood City Schools are the home of a number of Kiwanis-run clubs, including Builder’s Club (for middle school students), and Key Club (for high school students). The goal of the LHS Key Club is to expand and participate in helping our community as much as possible. 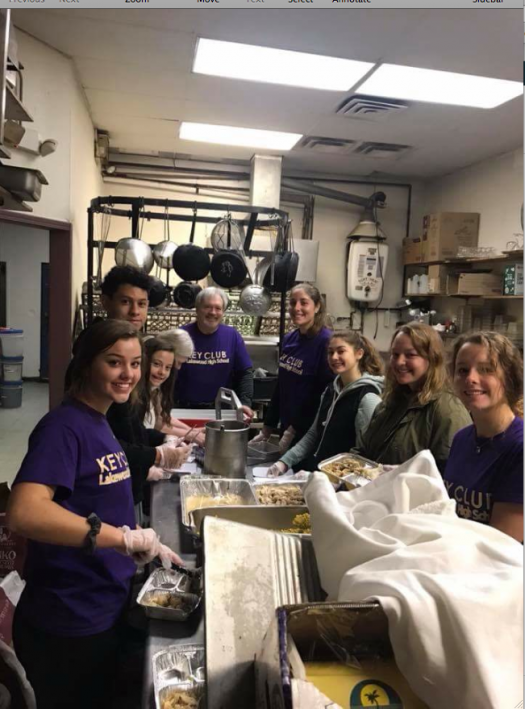 Key club has already participated in a number of service events this year, including placing nearly 3,000 9/11 flags, taking part in the Madison avenue Scarecrow contest and fundraiser, helping with Pumpkin Palooza, and most recently participating in the Thanksgiving food packing and distribution at the Masonic Temple. A number of the officers also helped pack food on Thanksgiving morning at Michael’s restaurant in Rocky River. This food was distributed to the Westerly and to anyone who could not provide a dinner for themselves. Sound like something you’d like to do? A similar upcoming event is food packing and distribution for Christmas. This event will also be held at the Masonic Temple in mid December. Other upcoming events include the pizza bake-off in January and serving a pancake breakfast in the spring. If you would like to learn more, our meetings are held on Thursday mornings at 7:30 am in room A202. We encourage you to come, bring your friends, and share any service project ideas. Interested in scholarship opportunities? Lakewood Kiwanis gives out a number of scholarships each year to seniors who are residents of and near the city of Lakewood. This scholarship is $10,000 which is spread out over the course of four years.